Many of us can relate to the feeling of abdominal discomfort caused by bloating, but what causes that distended sensation and what can help relieve it? It turns out, there are some typical culprits for feelings of gassiness, bloating and constipation. With the obvious being certain types of foods. Difficult to digest foods such as beans and legumes and fruits and vegetables. 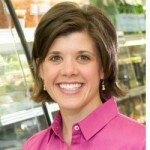 Also, whole grains can be common culprits, as can high fat foods. Some other common culprits include eating too much and too fast, and swallowing air. Bacteria found in the gut that helps digest food can also cause bloating. When food isn’t moved through the GI tract efficiently, gas builds up in the intestines and causes the abdominal distention. So, what about fiber? Does it cause bloating or cure it? Good question! Turns out – it depends. If you only eat soluble fiber, since it absorbs water, you will feel bloated. However, insoluble fiber doesn’t absorb water and instead cleans the digest tract. So, if you have a diet that consist of both soluble and insoluble fiber then you will find relief from bloating and constipation. 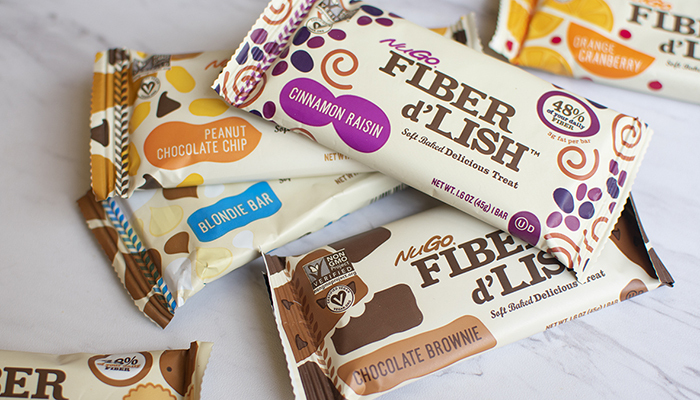 Many people get the relief they need from bloating and constipation by eating a NuGo Fiber d’Lish bar daily because NuGo Fiber d’Lish is the only natural fiber bar that contains both soluble and insoluble fiber. Eat one Fiber d’Lish bar every day and hydrate for immediate relief from constipation and bloating. There are a few steps we can take to prevent and relieve bloating and constipation. These include, eating smaller portions, taking our time when we eat, and limiting high fat foods. Drinking through a straw, or drinking a lot of carbonated beverages can contribute to bloating, so reducing these behaviors can also help. When it comes to fiber, experts recommend 25 – 35 grams per day. Unless you’re way above this recommendation, it is not suggested to reduce your fiber intake. Rather, aim for 25 – 35 grams each day and increase to this recommendation slowly if you aren’t quite here already. Then, increase your fluid intake as you increase your fiber consumption. Increasing fiber along with fluids helps move food through the digestive tract efficiently and prevents the gas that causes bloating from building up in the intestines. Get constipation relief that tastes like a fresh soft baked cookie with Fiber d’Lish which contains 12 grams of fiber! Keep in mind, while temporary bloating is considered normal, if you are bothered by bloating on a frequent basis be sure to address this concern with a licensed healthcare professional. Otherwise, stick to the basics – plenty of whole high fiber foods, water, and regular physical activity. This entry was posted in Ask a Nutritionist, Fiber 101, and Health Benefits of Fiber.